Hanging around at Baby’s All right all day for the free Brooklyn Vegan showcase wasn’t enough. 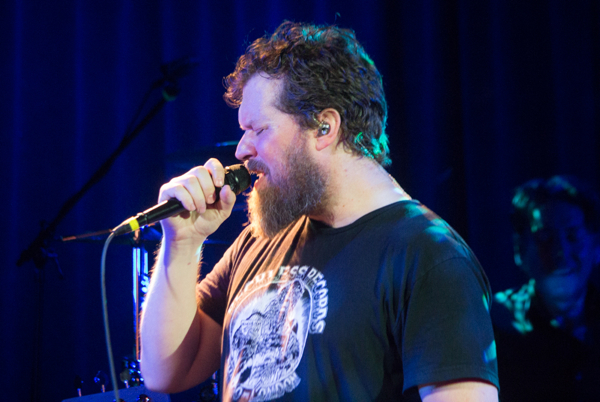 After years of hearing nothing but critical acclaim, I made sure to finally catch John Grant live when he performed at Le Poisson Rouge for a headlining show of his own after some CMJ showcase performances. The stop came as a part of his tour for his acclaimed new album Grey Tickles, Black Pressure (out via Bella Union). Le Poisson Rouge was as packed all the way to the back, with a much older crowd than usual, not a bad thing, as they gave him the silent respect that he deserved to showcase his magic. Find some shots of his performance posted below. Prior to the fifth and final day of CMJ 2015, I had one of the longest days ever covering the festival (which is saying something), but I still came out strong ready to end the festival on a high note. 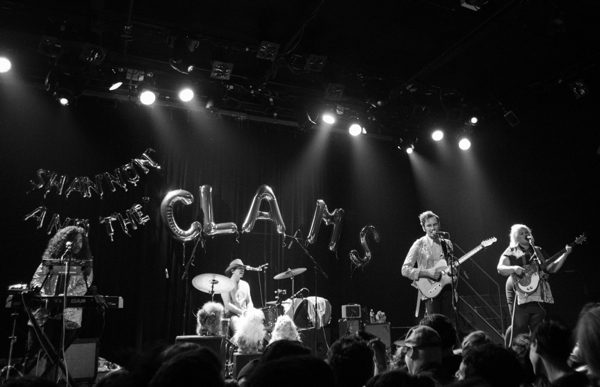 After a hectic day of CMJ show hopping, I found the strength to attend a regular concert, featuring a pretty stacked triple bill of Shannon and the Clams, Sheer Mag, and Shopping (all bands that start with an S). It was my first time catching all three acts, bands that I had heard nothing but high praise about over the year (and years for Shannon). Shopping got the night started with bouncy and effective post-punk with heavy dance grooves. 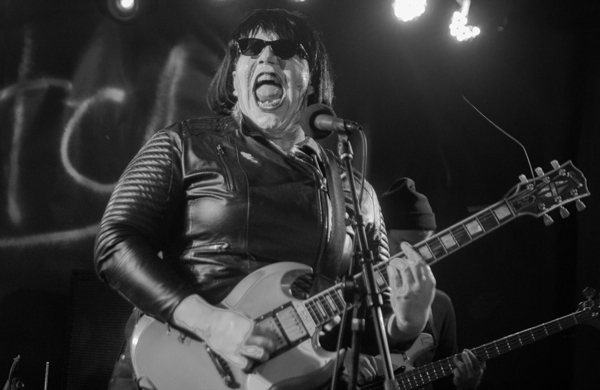 Then came the heavy-hitting riffs of Sheer Mag, a group that is keeping 70s classic rock alive and well. The crowd lost it at their arrival, and rightfully so. Sheer Mag are the real deal, living proof that somehow in the year 2016, rock and roll isn’t dead (despite what those pesky teenagers say). Shannon and the Clams also brought an older sounds of 50s-60s doo-wop and old-school rock and roll with a slight punk edge. I say slight, but the kids at Music Hall that night were anything but calm. It was a wild performance so good that I even ended up running into Brittany Howard of Alabama Shakes, just hours after catching her wild set as Thunderbitch at Knitting Factory. As I complimented her on her own performance, she thanked me but was quick to point out how insane Shannon and the Clams sounded as well. She wasn’t wrong. Find photos from all three bands posted below. After a somewhat quieter day three of CMJ (for me at least), I went and overdid it as usual, catching an insane amount of music from about noon to the deep dark ungodly hour of the night. I started the day early making my way to Baby’s All Right for the annual Brooklynvegan day party where I started my day nicely with sets from The Album Leaf, Ezra Furman, Car Seat Headrest, Makthaverskan and Porches before heading to Knitting Factory for the ATO Records showcase where I caught promising talent Margaret Glaspy, as well as a rare performance from Thunderbitch, the side-project of Alabama Shakes’ Brittany Howard. Getting to see an undeniable talent such as Howard play a rare Thunderbitch show in an intimate room such as Knitting Factory was one of the highlights of my entire CMJ. From there I ran over to Fader Fort to catch some songs from Martin Courtney, before heading to check out a great triple bill at Music Hall of Williamsburg featuring Shannon and the Clams, Sheer Mag and Shopping, before somehow finding the energy to run back over to Baby’s again to see Stealing Sheep, Drinks, and Palehound, wrapping up a long and intense day of music. It was great. Find a photo gallery of this entire day posted below. One of 2015’s true delights in Goon, the debut album (released via True Panther) from L.A. songwriter Tobias Jesso Jr. I was fortunate to catch one of his first ever shows in 2014, when he played an intimate show at a Williamsburg loft. Then earlier in 2015 I caught his performance at Baby’s All Right, an intimate affair packed to the brim with fans who already knew the words to each and every one of his songs. 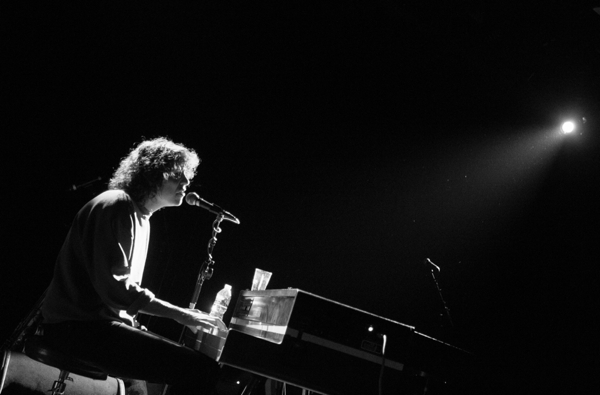 It made perfect sense to seem him play a pair of bigger shows at Music Hall of Williamsburg in October during CMJ. After a rather busy second day of CMJ, day three was somewhat mellower. I got a late start to the day, catching a set from the much buzzed about Car Seat Headrest, a band who probably played more CMJ shows in ’15 than anyone else. 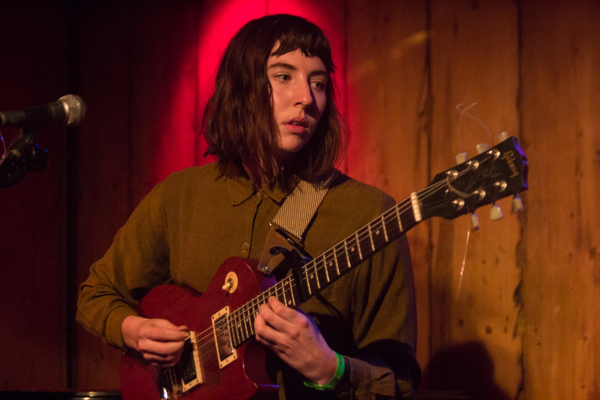 The performance was a part of NYC Taper’s annual showcase at Cake Shop. I then caught a set from Mothers, a band out of Athens, Georgia that many were praising at the festival. They delighted a small but interested crowd at Rockwood Music Hall. They were one of my favorite discoveries at the time, and are about to release their debut album When You Walk A Long Distance You Are Tired at the end of this month via Grand Jury Music. 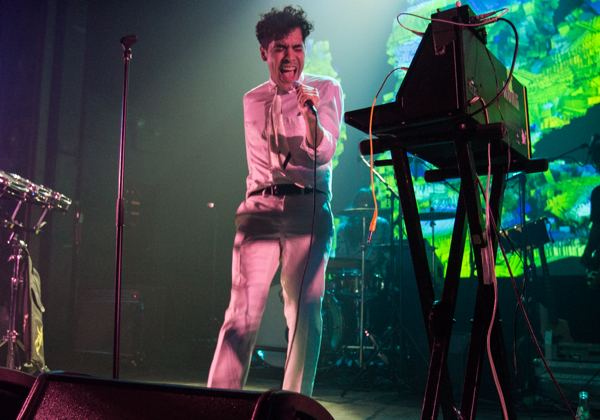 Midway through my second whirlwind day of CMJ 2015, I headed to Webster Hall to catch the live return of Alan Palomo’s Neon Indian to NYC. The performance tied in perfectly to the release of his funky new album Vega Intl. Night School (released via Mom + Pop Music). With a new live band and an impressive light display, this was truly Neon Indian version 2.0. The new songs popped live, and old tracks were given a new lease of life. Webster Hall was in the palm of Palomo’s hand, and he ran away with it. Find some more shots of the performance posted below. After a rather busy first day of CMJ, I kicked off day two right with a performance from our buddy Oscar at Pianos, as a part of the Kanine Records day party. It was my first time catching Oscar since he played our very own CMJ at Pianos in 2014, and he had a new band and some new songs to share. I stuck around Pianos a bit more and saw a fun band out of Toronto called Weaves and then the always entertaining Beverly. I then ran over to the newly opened Berlin to catch sets from both New Myths and Multimagic as a part of the Holy Underground CMJ Showcase. New Myths are based out of New York, and just happen to feature two fellow graduates of Tappan Zee High School. If you’re a regular attendee of live music in New York, you’ve probably either seen them open a show or seen the name around. This is because their fresh and exciting blend of new-wave rock is as sharp as you can get, and goes over real well live. Same can be said for Multimagic, a indie-rock group from Cincinnati who deliver a performance that’s about as fun and joyous as you can hope for. They’re currently putting the finishing touches on their debut album, an album that I hope we have to spin during the upcoming summer months. Last January Panda Bear stopped into Queens for an unusual performance at the MoMA PS1 VW Dome, in support of his latest record, Panda Bear Meets The Grim Reaper (released via Domino Records). 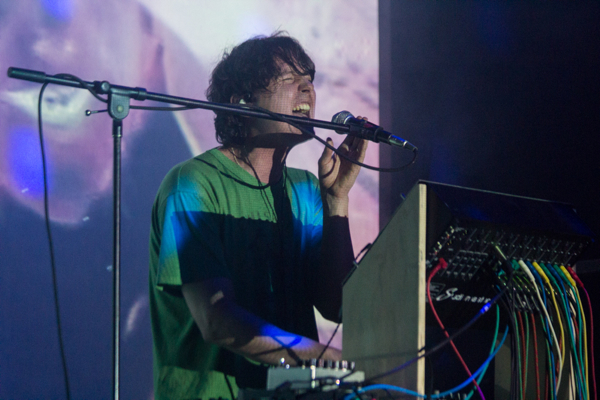 Panda Bear returned to New York in October for a sold out three-night run at Bowery Ballroom, that just happened to go down during CMJ. It was a typically great performance from Panda Bear, leaving everyone in the audience tripped out by his ever killer combination of dazzling visuals, and hypnotic tunes. Find some more shots from the performance posted below. 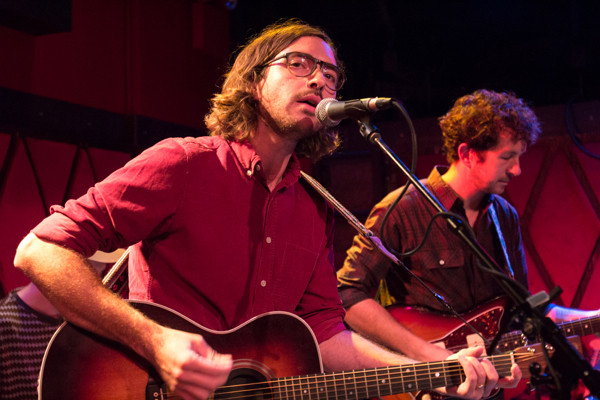 Back in October, I kicked off my CMJ at Rockwood Music Hall for WFUV’s annual CMJ showcase. 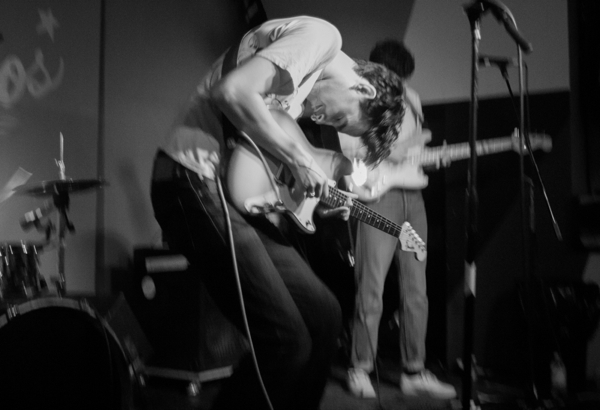 I caught Martin Courtney’s first New York City public performance (and one of his first in general), as well as one of the first U.S. performances from Liverpool rockers Hooton Tennis Club. I then ran over to catch a full show from Panda Bear at Bowery Ballroom, and then ended day 1 with Frankie Cosmos set at Baby’s All Right for the Bayonet Records x Couple Skate CMJ Showcase. 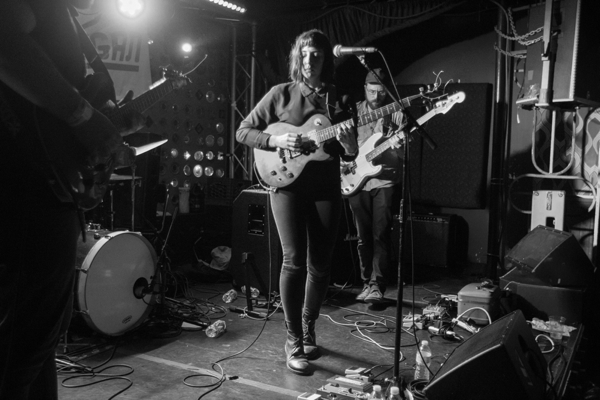 Find a gallery of photos from day 1 of CMJ posted below.